We make repairing your machine simple. From the 1st phone call to the point you collect your repaired machine, we keep it simple, straight forward & affordable. We offer many repairs for iMac, Macbook and more. From power issues to not reading discs. If you need a console repair in Lincolnshire, we can help at an affordable price. We can clean your infected laptop or desktop computer with our virus removal service. Book your machine in today for our free diagnosis. We have fixed many liquid damaged laptops. If we can't fix it, we wont charge. Our equipment and skills allow us to perform repairs down to component level at affordable prices. Our standard 30 point Health service includes our free Health Check. Then removal of all Viruses, Malware, Spyware, and any other dangerous software. We then speed up your machine and install any missing drivers. Run intensive hardware tests: including temperature checking, ram tests, Hard Drive tests and lots more. A 30 day trial of Kaspersky Internet Security is then installed. After all that, we give the machine an external clean. Our Mid Level Service includes a 1 year licence of Kaspersky. Next, there's our Mid Level Service. Which includes all the features of our standard Heath service, but with the added bonus of a 1 year licence of Kaspersky Internet Security. All installed for you and ready to go. Keeping all those nasty viruses out for a whole year. Our Top Level Service includes a full strip down. Our top level service includes all previous level features, plus a full strip down and thorough clean out of internal dust, (including spiders) from fans, vents and heatsinks. Keeping your machine running cool and quiet. We offer our health check for FREE. 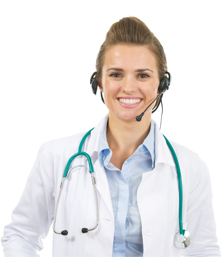 We will diagnose the fault for you without any charge. In a hurry? 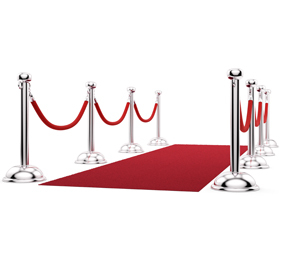 We offer a paid for check which jumps you to the front of the queue VIP style. We have teamed up with eforests.co.uk so that for every laptop or desktop we sell, new or used, we plant at least one tree. Established in 2009, Computer Clinik was formed, to give people an honest and trustworthy place, to repair their faulty Laptop and Desktop Computers, as well as Games Consoles and Apple Mac’s. The idea was, that people could CHECK and get a quote, on how much a repair would cost BEFORE being bound to have the work done. This would encourage people to REPAIR rather than replace their machines. We promote a REPAIR NOT REPLACE ethos and try to be an ECO FRIENDLY company. In 2013, we stopped using A4 paper for booking in jobs and invoices. We started using custom booking and tracking software, to print out everything on razor thin, 80mm till rolls. This saves an average of half a ton of paper per year. That’s the amount of carbon an average tree will consume in 50 years. By choosing Computer Clinik to repair your machine, you are spending your money with a local, eco friendly company and helping to support local jobs. Computer Clink offered the best service I could have ever wanted. I am the Director of an international event supplies business and when one of our Macs went down and stopped running Computer Clinik had us back up and running in no time. There is no IT specialists like this in Lincolnshire. I would recommend them to anyone who has a problem with their Mac or PC. Great Service, Fast Turnaround, Great Value.